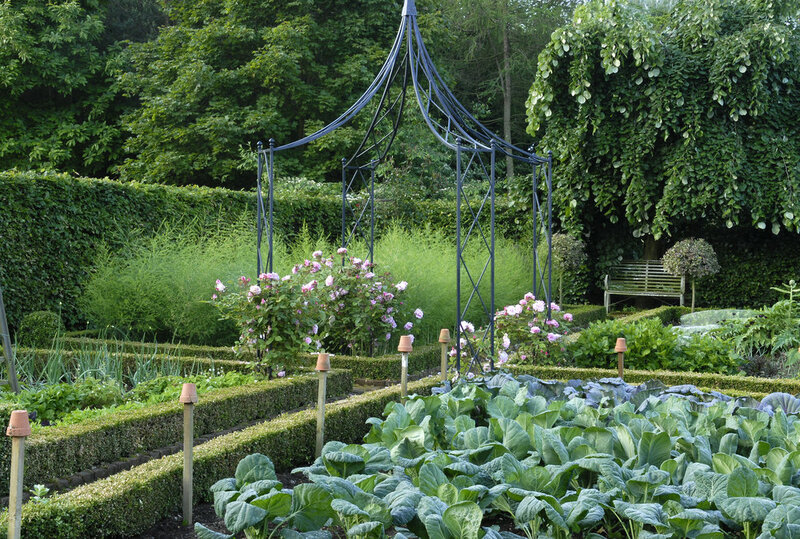 Inspired by Rosemary Verey’s famous traditional potager at Barnsley House, the Kitchen Garden is designed with box edged paths surrounding vegetable beds. Old roses including "Mme Isaac Pereire" intermingle with heritage vegetables. Sweet William, Cosmos, Dahlias and Sweet Peas grow amongst the vegetables to provide colour and cut flowers for the house. A small knot garden created to a traditional Elizabethan design, forms a strong focal feature in front of a restored Richardson glasshouse.